The fire damage restoration New Orleans team with 911 Restoration New Orleans is backed by years of experience and is equipped with the most advanced fire damage restoration technology, making them the most qualified in the industry to help you with your fire damage. Like any other city, the residents of New Orleans are at risk of experiencing a home fire at some point in their lives. Most of the time these incidents occur in the kitchen, either from hot grease, burnt food, or misuse of kitchen appliances. We want to get your house feeling and looking like your home again, so we are standing by and available 24/7/365, waiting to be at your service. Our IICRC certified fire damage restoration professionals will do whatever they can to make sure that the customer feels like he is being put first, so we offer free home inspections and affordable pricing for your accommodation. Your safety is the most important thing to us. In order to help protect your family from fire hazards, below are a few tips from the fire damage Greenwell Springs experts that every family can follow. Regularly check your smoke alarms. The New Orleans Fire Department has a Free Smoke Detector Installation Program where they will install a free smoke detector in your home. By law, every household needs to have a working smoke detector, and they will help you make that happen. Keep in mind how many things are plugged into your circuit board. An overloaded circuit board can be a major fire hazard, especially if there are sparks or a bad smelling odor present. If you find this happening, it may be necessary to have a professional replace your outlets. Be mindful of your large appliances. Make sure to follow all of the guidelines when it comes to your household appliances. If anything is overheating, sparking or smelling unusually, then something is wrong. Immediately shut them off and call for a repairman. Have an escape route planned out. Practice exactly how you and your family will exit the home if a fire does break out, that way there is no confusion when the time comes. Our whole operation is licensed, bonded and insured for your benefit, proving to our customers that we hold ourselves to a higher standard than the other home restoration companies out there. Don’t let your home be ruined by the effects of a fire outbreak. Contact our fire and smoke damage restoration New Orleans team with 911 Restoration New Orleans for help today! 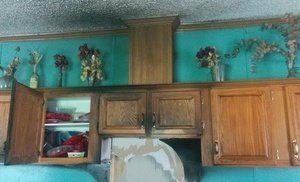 The fire damage restoration New Orleans techs value their professionalism, and they look to use their reputation to help their customers get the best price possible for their home restoration work. Not only do we work with all major insurance companies, but we will even handle the entire claims process for you, ensuring that you get the best coverage for your plan. We know just how important it is get your home cleared of any sign of fire, smoke, soot and ash, so the fire damage restoration New Orleans crew promises to be at your home within 45 minutes of your initial call, ready to get to work. 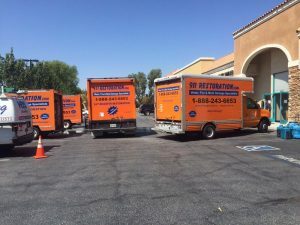 Most people don’t realize that due to fire extinguishers, water damage cleanup is a big part of fire damage restoration, and the water damage Baker members know just how to get the job done. Please, call our fire and smoke damage restoration New Orleans team with 911 Restoration New Orleans and let us give you and your home a fresh start today!